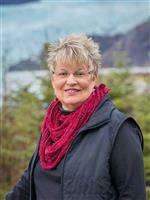 Thinking about selling your home in Juneau, AK? I am an expert in the local market and will guide you through the entire process of selling your property from listing to sale. My marketing plans assure your property maximum exposure and I pride myself on personal service. I encourage you to contact me with your questions and to discuss your individual needs, and call me for a free Comprehensive Market Analysis of your home.